We’ll definitely be having pizza on Mother’s Day. According to my daughter, who just received her salary after a month stint as a newspaper cartoonist, she’ll treat me with my favorite pizza on Mother’s Day. She said I’ll be delighted with her treat for she knows that I love pizza so much. But she promised to give me more than pizza when she finishes school and has a stable job. She would probably give me a ring or a matched necklace set that she wants us to wear. I would appreciate anything that you’ll give me, anak. But you have to remember that you alone are more than a treasure worth keeping. Happy Mother’s Day to all! 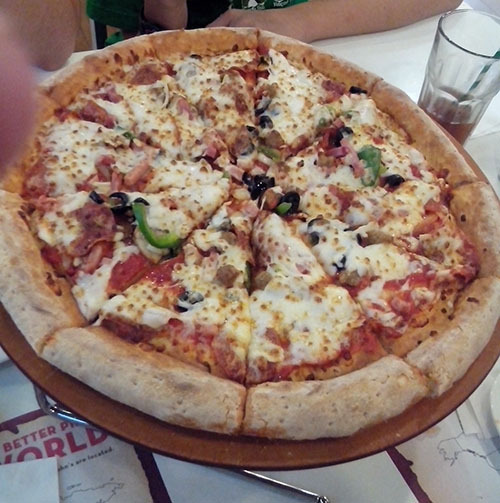 This entry was posted in Occasion and tagged important ocassion for mom, mother's day, mother's day treat, pizza treat on May 7, 2014 by Yami.